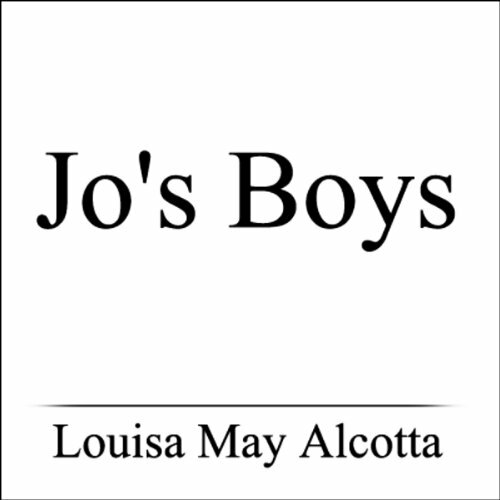 The final novel chronicling the adventures and misadventures of the March family, Jo's Boys is entertaining, surprising, and an overall joy to listen to. 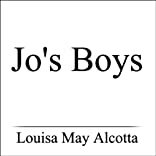 Set ten years after Little Men, Jo's Boys revisits the one-time members of that ''wilderness of boys'' that once resided at Plumfield, the New England boarding school still presided over by Jo and her husband, Professor Bhaer. Jo's boys -- including sailor Emil, promising musician Nat, and rebellious Dan -- are grown up and making their ways in the world with varying degrees of triumph and disaster. Jo herself remains at the center of this tale, holding her boys fast through shipwreck and storm, disappointment. . . and even murder.